Anantara Hotels and Resorts has announced the dates for the 2017 King’s Cup Elephant Polo Tournament. 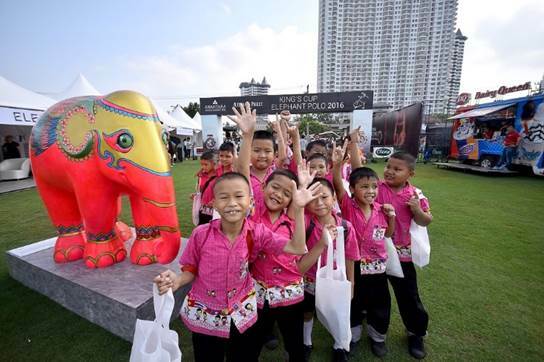 This year’s event will be held by the banks of Bangkok’s mighty Chaophraya River from March 9th – 12th and promises to have a full range of fun elephant festivities for the whole family. Now in its fifteenth year, the tournament has become one of the biggest charitable events in Southeast Asia with over US$1.3 million (BHT 46 million) raised and donated to projects that better the lives of Thailand’s wild and domesticated elephant population, these include: the world’s first Thai Elephant Assisted Autistic Therapy Project; positive reinforcement elephant training workshops; mahout community development initiatives, and wild elephant conservation. 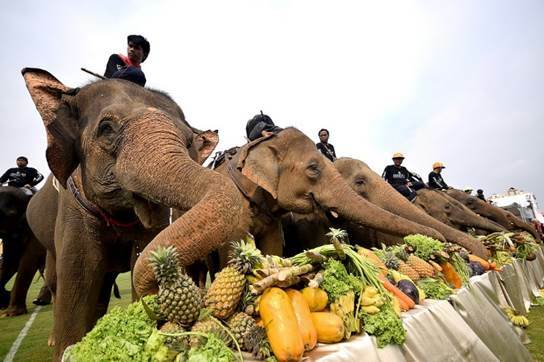 A total of 30 unemployed former street elephants will take part in this year’s festival during which they will be given full veterinary checks and care, much needed food and drink and essential vitamin supplements for the duration of the event. 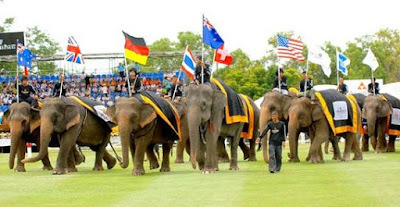 The welfare of the elephants that participate in the King’s Cup Elephant Polo Tournament is of paramount importance, with strict rules ensuring that the pachyderms are well cared for at all times. 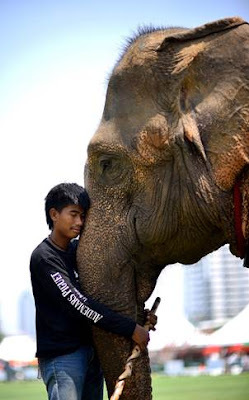 By imposing a “no micro-chip, no game” rule, Anantara guarantees that all participating elephants have been domestically bred and not captured from the wild or smuggled in from neighbouring countries. The King’s Cup Elephant Polo Tournament recently awarded a silver medal for Sports CSR Initiative of the Year at the Asia 2016 SPIA Sports Industry Awards. Organised by Sport360° and MMC Sportz, in partnership with the Thai Ministry of Tourism and Sports and the Sports Authority of Thailand, the awards applauds sports industry leaders that demonstrate a balance between business, community and environment. The 2017 event will have 10 teams encompassing over 40 players, including Thai celebrities, supermodels, professional horse polo players and New Zealand All-Blacks rugby players. The four day festival will have something for everyone including an impressive Opening Parade, Children’s Educational Day, Ladies Day known as The ‘Bangkok Ascot’ and fun elephant related activities. For more information on the 15th Annual King’s Cup Elephant Polo Tournament, please visit www.anantaraelephantpolo.com.